We’ve been waiting a while for this one. When Disney bought the Star Wars franchise a few years ago we knew there would be more films. I was never quite sure what to expect, though. Would they be better or worse than the prequels? Would they be Disneyfied? Which beloved elements would be kept true to form – and which exploited for cheap recognisability? Would the creators have learned lessons from the prequels? Now I’ve seen it some of those questions have been answered. But frankly, I’m not sure yet what I think of it. Perhaps it needs more time to stew (though it’s had a fair few hours already). Or perhaps the sense that it is just part 1 of 3 leaves it feeling incomplete. I will say I had fun. The Force Awakens has all the things you’d expect to see in the Star Wars film: epic battles, dramatic settings, space ships flying really fast past one another and over planetary scenery, light sabre battles, cool space monsters and a wookie going “awwrrgh”. Not to mention the age-old favourite right at its core, a good-vs-evil conflict. Having said that, there were a few things that made me roll my eyes – things that felt gimmicky or unsubtle, a couple of fridge logic questions that really make the plot look a bit crowbarred into shape in hindsight (and I’ll pick those parts apart in a separate blog post). One or two oh so very predictable twists and reveals. A clumsy reference to the old films that was probably meant to be funny. Still, it was fun. It looked incredible – the cinematography and CGI were spot on, and the costumes were really well designed. The cast were mostly pretty well selected. They all gave good performances, though I felt that one actor didn’t have the right look or voice for the character. I think it will take episodes 8 and 9 to determine once and for all if this film will ultimately be remembered well. After all, Episode 1 was a lot of fun, with a cool bad guy, lots of space battles, some cool light sabre action and some great performances – and look how the prequels ended up getting remembered once all three had been released. 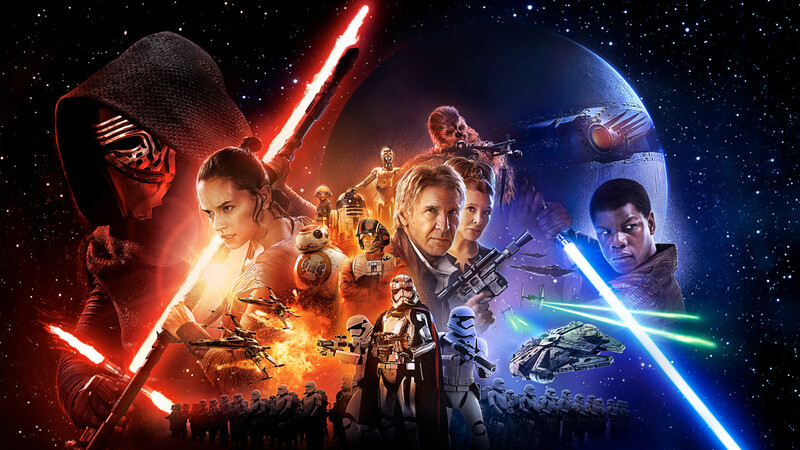 But for now I feel fairly positive about Star Wars: The Force Awakens. And I think it’s fair to give it a 7/10. With the upmost respect, I don’t think it will take Episodes 8 & 9 to determine whether this film will be remembered well. It’s a fine piece of work in its own right, regardless of what comes next. I agree that it is a good film, but I also think that Episode 1’s reputation suffered because of what came in the rest of the prequel triology, and that, if episodes 8 & 9 show a decline compared to 7, then 7 will suffer for it too.